I know they need to differentiate Ram from Dodge, but face it, they never going to be able to separate the two. It seems even Dodge are moving away from them, see the SRTs. I love how they used it on the Challenger concept. I can see why they removed it, for “historical inaccuracies”, but I still prefer the concept. Nice and subtle. Specifically for the Ram, I adored how the old model looked. (OK, from pictures, don’t have much experience in real life.) I loved how the headlights were lower than the grille, like larger proper trucks, and made it look much larger. Couple with the crosshairs, and you have a super aggresive looking truck. Well, I already apologised once for my MS Paint. Why should I feel sorry for this masterpiece? I can totally see why people would hate an aggressive looking truck, and prefer the truck as a humble workhorse. I am a fan of the ute myself. 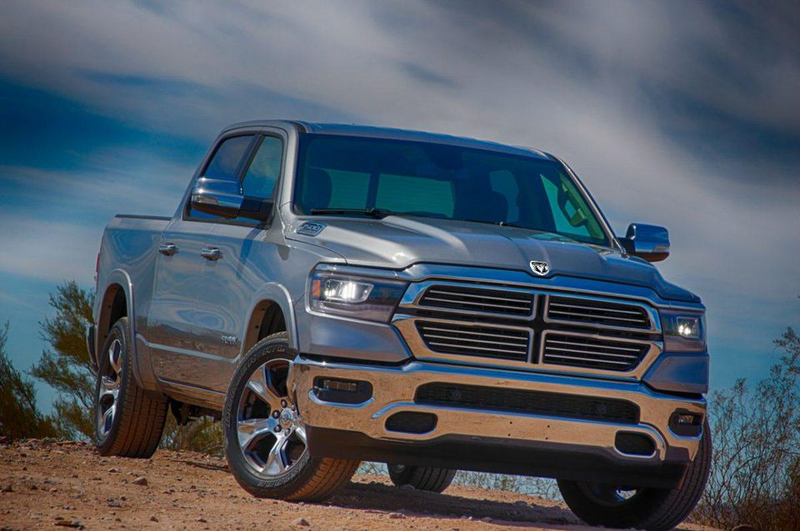 But Dodge Ram FCA the designers set out to make a cool and aggresive looking truck, and personally, I think they delivered. I don’t mind the new redesign, other than me missing the crosshairs. I know some love it, and think it’s a breath of fresh air. But I’ll miss them them iconic bars. Mostly due to the ways they tried shoehorning in the bars when rebadging other cars.